Jeremy Reddoor (Pigott) Trevor Conrad (Modus Engineering) and Nate Kaeding (Build to Suit, INC) present Michelle Catlett of the American Heart Association with a check for $64,000. 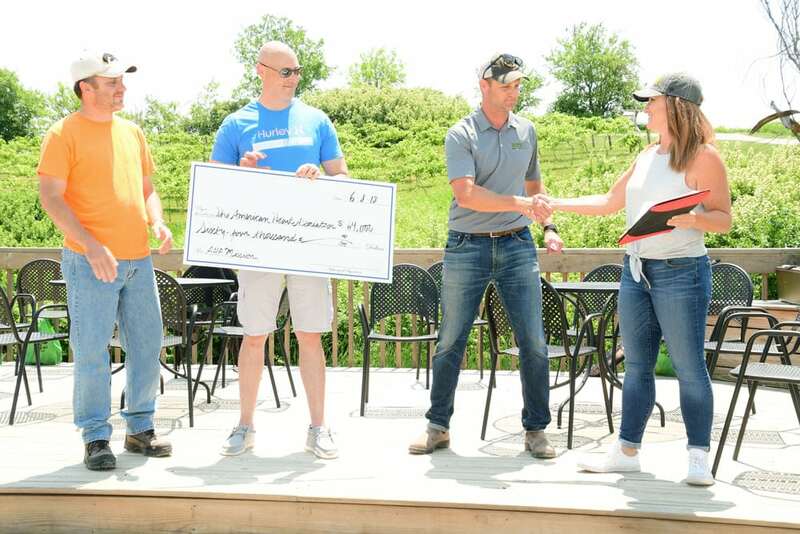 BTS team members Corey Higgins, Casey Kelly, Chuck Meyer and Nate Kaeding competed in the charity sporting clay shoot alongside friends from Ryan & Associates, the Iowa City Area Development Group and Brandt Heating and Air Conditioning. 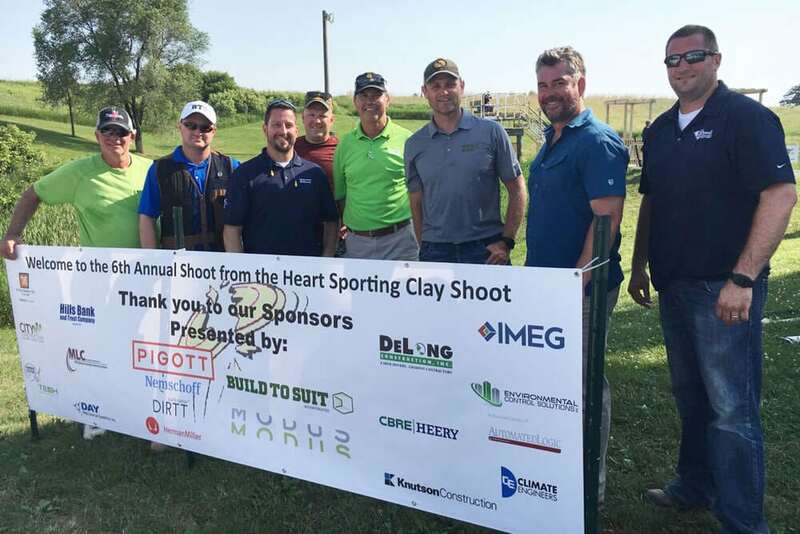 BTS was proud to be one of the presenting sponsors of the 6th Annual Shoot from the Heart Sporting Clay Shoot to benefit the local chapter of the American Heart Association. On June 8th, 2018 over 100 representatives from the construction and design community gathered in Riverside, Iowa at the Highland Hideaway Hunting Preserve to try their hand at shooting sporting clays and to enjoy the camaraderie of industry colleagues and partners. The important work the AHA does to prevent cardiovascular disease is especially significant to the BTS family. Tragically and unexpectedly, long-time BTS Project Manager Travis Kock died from sudden heart failure in February ‘18 at the age of 43. Travis was a vital part of the BTS team and left behind a wife and three young children. In honor of Travis, next year’s event will be renamed the 1st Annual Travis Kock Shoot from the Heart Sporting Clay Shoot. Thank you to all of the sponsors, participants food vendors and staff at Highland Hideaway Hunting Preserve for your participation!